Discover unique recipes for appetizers using black garlic. Black garlic can add the perfect unique, healthy twist to any appetizer or snack. Impress your dinner guests with a fancy dip or a glaze for veggies. Our black garlic can add the perfect flavor! Toppings: red pepper flakes, goji berries, or whatever you like! Cut acorn squash in half, de-seed & bake at 400 degrees for 30 minutes. Add the cooked flesh form half of the squash to a food processor with 1 organic can chickpeas (drained and rinsed), 1/4 cup filtered water, 5 fresh basil leaves, half a lemon (skin removed), a little paprika, cayenne, Himalayan salt & 1 tsp black garlic puree. Blend well & top with things like red pepper flakes or goji berries. Blend 1 teaspoon Black Garlic Puree with a few tablespoons of dry rub. Once blended, adjust for taste. Rub the paste on your chicken wings, and air dry for 24 hours in the fridge. Heat your oil in a deep sauce pan until ready, and fry the wings until done. Enjoy! **Keep the dry rub on hand for use in meat recipes. Excellent with smoked meats! Pre-heat your oven to 350 degrees. Remove the stems from the mushrooms and set aside, you’ll need these in a minute. Use a damp cloth to wash the mushrooms. Cut any hard part off the mushroom stems and discard. Chop up the remaining mushroom stems so they are quite fine. Heat 1 tablespoon olive oil in a large non-stick skillet. Sauté the chopped mushroom stems and black garlic for 5-10 minutes. Turn the heat to low. Stir in cream cheese, parmesan cheese, black pepper and oregano. Stir well. Spoon about 1/2 to 1 tablespoon of mixture into each mushroom cap. Bake for 20-25 minutes, or until the mushrooms are nicely browned. Smear a little black garlic puree on top of each cap for explosive flavor! In a medium saucepan over medium heat, melt the butter. Thoroughly stir in the cornstarch. Stir in the sour cream. When the mixture becomes hot and bubbly, mix in cheddar cheese and salsa and black garlic. Continue stirring until cheese has melted and mixture begins to thicken, about 10 minutes. Serve hot. Boil eggs and cut them lengthwise. Remove yolks and place them in a separate bowl. Place the egg whites aside. Mash yolks with a fork and stir in mayonnaise, pickle relish, mustard, black garlic puree and mix. Add salt and pepper, to taste. Fill egg whites evenly with yolk mixture. Garnish with paprika. Store covered in refrigerator, served chilled. Preheat oven to 400-degrees F. Cut potatoes in half, lengthwise, then slice each half into quarters to create 8 “taters” per potato. Drizzle a large baking sheet with olive oil; toss sliced potatoes and remaining ingredients in olive oil; spread out evenly on baking sheet. Bake for 25-30 minutes at 400-degrees F or until done. Additional salt and pepper to taste. Place the cornmeal, flour, sugar, baking powder, black garlic and salt in a large bowl and whisk to combine. Place the milk and eggs in a medium bowl and whisk until the eggs are broken up. Pour the milk mixture into the cornmeal mixture and, using a rubber spatula, stir until just incorporated. (Do not overmix) Stir in the melted butter until just incorporated and no streaks of butter remain. Pour the mixture into the prepared dish. Bake until golden brown around the edges and a toothpick inserted into the center comes out clean, about 20 to 25 minutes. Remove the dish to a wire rack and let cool before serving. Combine all ingredients in a food processor and blend. The mixture will eventually turn into one big ball mixture. Roll the ball mixture into a log about 1½ inches in diameter. Slice the log into ¼ inches thick pieces and place each one flat on an ungreased baking sheet. Bake for 10 to 14 minutes or until golden brown. Preheat oven to 425 degrees F. Lightly grease a baking sheet. On a lightly floured surface, unfold pastry sheets. Cut each sheet into 13 (¾-by-10 inch) strips. In a shallow dish, combine cheese, basil, and black garlic. 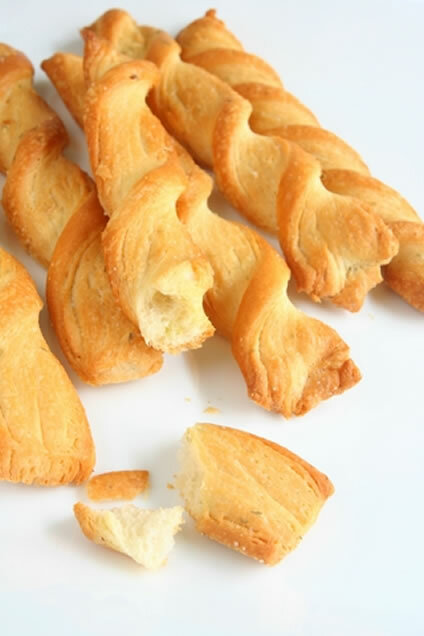 Brush pastry sticks with melted butter. Roll pastry in black garlic cheese mixture, lightly coating each side. Gently twist pastry sticks, and place on a prepared baking sheet. Bake for 12 minutes. Preheat oven to 375°. In a large saucepan, melt butter over low heat and stir in flour, salt and pepper until smooth. Gradually add milk. Bring to a boil; cook and stir 2 minutes or until thickened. Remove from heat; stir in cheese until melted. Add potatoes, black garlic and onion. Top with cheddar cheese. Transfer to a greased 2-qt. baking dish. Cover and bake 1 hour. Uncover; bake 30-40 minutes or until the potatoes are tender. In a large bowl, stir together potatoes, eggs, onion, scallion, flour, black garlic, salt and pepper. Take a heaping spoonful of mixture and flatten with palms. In a large skillet, heat oil over medium high heat. Drop pancakes into the skillet and continue to flatten cakes with a spatula. Cook for about 4 minutes on each side, until golden brown. Stir the bread crumbs, Parmesan, black garlic and salt in a medium bowl. Ensure the mixture is blended well. Dip the cheese in the eggs and ensure the cheese is coated completely. Let the excess egg drip back into the bowl. Coat the cheese in the bread crumb mixture, patting down so it will stick and coat completely. Place the cheese sticks on a baking sheet. Repeat dipping the cheese sticks in the egg and bread crumb mixture to coat a second time. Place the cheese sticks back on the baking sheet. Cover and freeze. Heat the oil in a large frying pan over medium heat. 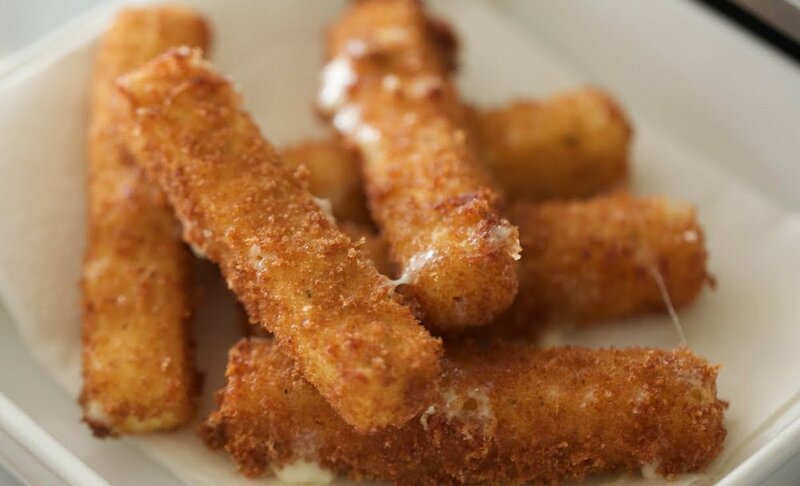 Fry the cheese sticks until golden brown, about 1 minute per side. In a medium bowl, combine the tomatoes, garlic, black garlic and balsamic vinegar. Pre-heat oven to 350F. Cut the bread diagonal slices and rub each side of the bread with olive oil. Add a spoonful of the tomatoes on each piece of bread. Bake for 7-8 min until golden brown. Remove from oven and top with basil leaves. In a non-stick skillet, heat a teaspoon of olive oil over medium-high heat. Add mushrooms, onions, and garlic and sauté until soft, about 5-6 minutes. Scoop out onto a paper towel lined plate to allow moisture to drain. On the preheated stone, add a sprinkle of cornmeal (helps prevent the dough from sticking) and place the oblong pieces of dough on there (easiest to do one at a time). Bake for 2-3 minutes, piercing and flattening the dough with a fork as it starts to bubble. Flip and bake for another 2-3 minutes. Remove from oven and repeat with remaining pieces of dough. Note: you may do this step ahead if you wish. Turn the oven onto broil. Brush each of the flatbreads with 1 1/2-2 teaspoons of olive oil, and evenly spread 1/3 of the mushroom mixture on each of them. Next, sprinkle 1/4-1/3 cup of shaved parmesan onto them and top each with a teaspoon of chopped tarragon. Place in the oven a broil until golden. Remove and serve hot. Top with crushed red pepper flakes for an added taste of zing! Melt butter in a skillet over medium-high heat. Stir in the olive oil, salt, and pepper. Cook black garlic in butter for a minute. Add asparagus, and cook for 10 minutes, turning asparagus to ensure even cooking. To make the cilantro dipping sauce: combine cilantro, sour cream, jalapeno, mayonnaise, black garlic and lime juice in the bowl of a food processor; season with salt and pepper to taste. Set aside. Wash potatoes thoroughly and cut each potatoes into wedges. Roast the seasoned potatoes in the preheated oven for 15 minutes, then give the baking pan a shake to make sure they are not sticking. Continue to roast for an additional 15-20 minutes until they are tender. Serve hot with Black Garlic Puree. Mix oil, rosemary, salt, pepper and black garlic together. Toss in cauliflower and place in a large casserole dish in one layer. Roast in a preheated oven at 450 degrees for 20 minutes; give a toss and bake for 10 more minutes. Cut the avocados in half. Remove seed. Scoop out avocado. Mix all ingredients until well blended. Chill before serving. Heat the oven to 475°F and place a baking sheet in the oven as it heats. Cut the tomatoes into wedges and trim away the stem area. Gently squeeze the wedges over a bowl to remove the excess juices and seeds. Combine the tomatoes with the garlic and half of the basil in the bowl of a food processor or blender. Process until the tomatoes break down into a sauce, scraping down the sides as needed. If desired, strain to make a thicker sauce. Spread a light layer of the sauce over one of the rounds of pizza. Top with half of the slices of mozzarella. Leave some space between the pieces of mozzarella. Transfer the pizzas to the preheated baking stone or baking sheet. Bake for 5-10 minutes—exact cooking time will vary depending on your oven. Pizzas are finished when the crust is deep brown with charred spots and the cheese is bubbling. In a large pan heat the olive oil over medium heat. While the pan is heating, squeeze out as much moisture as you can from the grated potatoes. When the oil in the pan heats up to the point of shimmering, add the grated potatoes & black garlic, spreading them out along the bottom of the pan about half inch thick. Sprinkle some salt and pepper on the potatoes. Heat oil in a large pan over medium-high heat until it starts to shimmer. Add corn, and cook, stirring occasionally, until soft and slightly browned, about 7 to 8 minutes. Season with salt and pepper. Add cream, black garlic and stock, stirring constantly, until thickened slightly, about 2 to 3 minutes. Remove pan from heat and stir in Parmesan.